IT organizations’ analytical projects can take several months when a business needs this information in weeks. This trend has caused the efforts of IT business intelligence (BI) teams to spending most of their energy gathering, cleaning, and structuring data for the business to perform their own analytics through a self-service model. In special cases, they provide industrial strength reporting that can scale to thousands of users where trusted verified data is needed. However, they are still being shown the door when it comes to some of the more interesting work. What can IT BI teams do to stay relevant and valuable to the business? We have several suggestions that relate to embracing self-service analytics as the new reality and transitioning core competencies of the Business Intelligence team away from purely descriptive reporting and moving to diagnostic and predictive analytics. Diagnostic analytics helps organizations to not only understand what, but also why and what decisions and actions can be taken to solve for the issue. This type of analytics is more valuable to the business and requires competencies that IT BI teams are uniquely qualified to bring from their years of building analytical solutions. Data scientists are starting to appear in analytical groups within companies. However, they are still not pervasive and the function is understaffed. In addition, most groups within a company cannot justify the cost of a full-time data scientist. 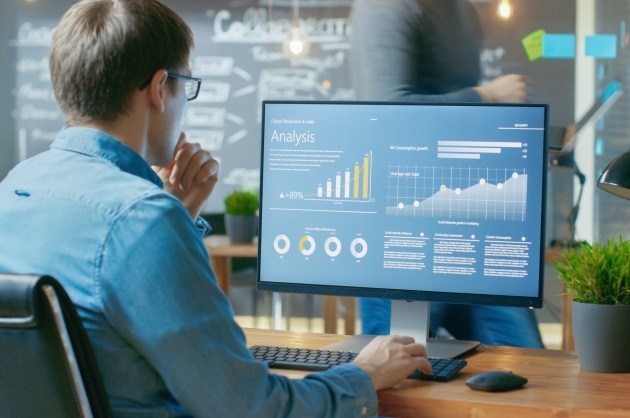 By adding data scientists to the IT BI organization, you are creating a centralized team that can provide analytics to underserved parts of the organization. This team is already focused on creating analytical data structures and reports and adding the ability to derive insights from the data is a natural extension. In your requirements process, add decision architecture methodology as a capability. Most methodologies for capturing analytical requirements focus on the questions asked of the data to surmise the dimensions and facts. While this gives us great descriptive analytics, but it does not move the company along the analytical maturity curve. A deeper focus on the decisions that the business makes and thereby centering analytical capabilities around helping to enable actionable insights will move the needle. If data science helps you turn information into actionable insights, decision theory helps you structure the decision process to guide a person to the correct choice. Decision theory, along with behavioral economics, is focused on understanding the components of the decision process to explain why we make the choices we do. It provides a systematic way to consider tradeoffs among attributes that helps us make better decisions. Tools such as thresholds, alerts, decision matrices, and choice architecture should be considered important capabilities to add to your team’s tool chest. As report proliferation occurs with self-service analytics, creating a standard for the health and validity of a report is going to be important if the analytics are to be consumed by a broader audience and are to be trusted. For example, you may have one group create a report with key metrics sourced from uncertified data sources. By putting reports from individual departments through a certification process similar to UL labeling on electrical products, broader consumers will know the level of scrutiny that has been put on the report by data governance and IT teams and thereby trust the data and metrics contained within it. As IT business intelligence teams look to move up the value chain in the capabilities they offer to their internal customers, adding addition skillsets, methods, and tools will be a necessity. The capabilities outlined are a great fit for a centralized team to own and this transformation in IT BI teams can speak to the value these enhanced capabilities provide to the business.